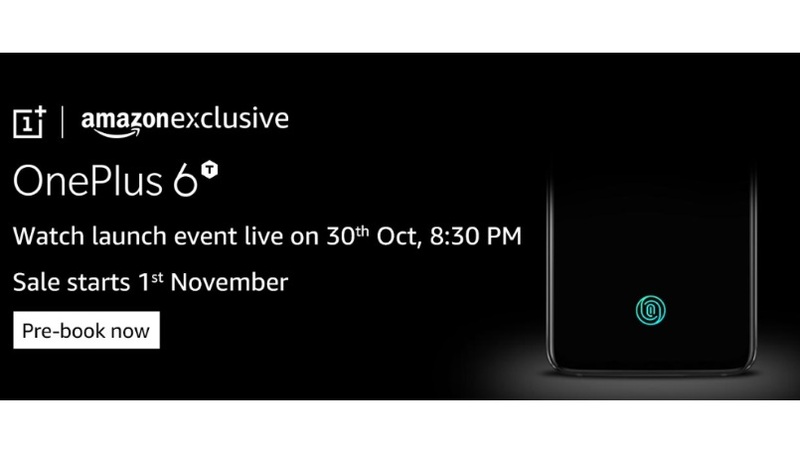 OnePlus 6T has launched in India in three variants. Smartphone goes on sale for the first time in India. Interested buyer is now available to purchase the phone exclusively in Amazon store. The OnePlus 6 successor arrives in three variant its key highlight include a new in display fingerprint sensor, a smaller display notch. The mobile is going to sale from Nov 1 and will be available in Amazon.in. It starts at $549 for the 128GB/6GB varaint in the US. Mobile will also available in croma and Reliance Digital store. Its comes with three variants, and 6GB/128GB of storage model will be available for Rs 37,999.. 2nd variant comes with 8GB/128GB of storage will price at Rs 41,999. And the 8GB/256GB will be price at Rs 45,999. OnePlus decided to ditch the 64GB storage model. as was in the case of OnePlus 6, and two colors including Mirror Black and Midnight Black. it will available for purchase on the e-commerce platform starting 12AM on Nov 1. The launch offer include Rs 2,000 instant cashback for those who buy the handset using the Citibank credit cards or ICICI credit or debit cards. Kotak 811 provide Free damage protection and Servify No-Cost EMI, and 5400 instant cashback form Jio in addition to up 3TB of 4G data. A leaks suggests that, it gets a n in display fingerprint sensor, a smaller notch, and a bigger battery. whats missing this time is the headphone jack, that has to be dumped in favor of a bigger battery and screen unlock. It sports a 6.41 inch AMOLED display featuring 1080*2340 full HD resolution with 19.5:9 aspect ratio. Sports Corning Gorilla Glass 6 protection and 86% screen to body ratio. OnePlus 6T comes with an in display fingerprint sensor. it is powered by Qualcomm Snapdragon 845 Octa core processor clocked at up t 2.8 gHz Adreno 630 GPU clocked at up to 710MHz. 16MP with 20 MP dual camera setup at the rear and a 16MP single selfie snapper on the front. it come with 3799mAh capacity battery with dash charge support.